This off-grid or battery backup inverter will deliver 3,800 watts of pure sinewave power at 120/240Vac making it great for homes or cabins. Schneider’s line of SW inverters have built-in chargers to keep your battery bank charged from a generator or other AC power source. The SW line of inverters are a great value, with an impressive list of features and sell for hundreds less than the competition. This off-grid inverter will deliver full power to a 120/240 volt breaker panel without the need for an additional external transformer. For additional information please see the spec sheet and user manual or call one of our sales technicians at 1-800-487-1142. 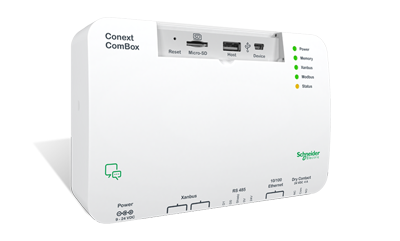 The Conext SW inverters incorporate advanced features for modern grid-connected systems. 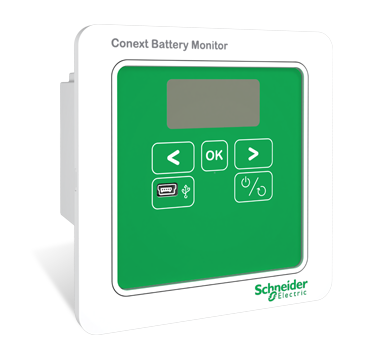 The Conext SW inverters are consumption ready with the ability to prioritize solar consumption over grid, while maintaining zero grid export. 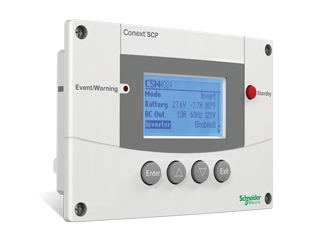 The Conext SW can work with the grid to avoid peak utility charges and support the grid when utility supply is limited.